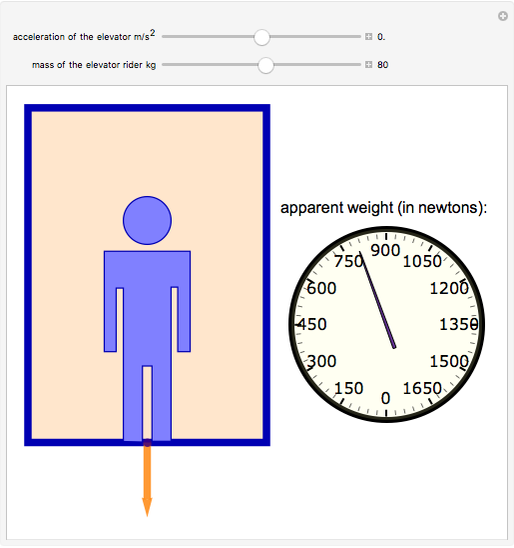 If you stand on a scale in an elevator accelerating upward, you feel heavier because the elevator's floor presses harder on your feet, and the scale will show a higher reading than when the elevator is at rest. On the other hand, when the elevator accelerates downward, you feel lighter. The force exerted by the scale is known as apparent weight; it does not change with constant speed. 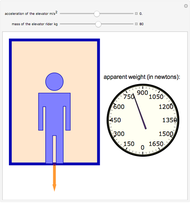 Applying Newton's second law, the equation to link acceleration and net force is , where is your weight, is your weight measured on the scale (the usual force), and is the net force. Enrique Zeleny "Weight of a Person Riding in an Elevator"